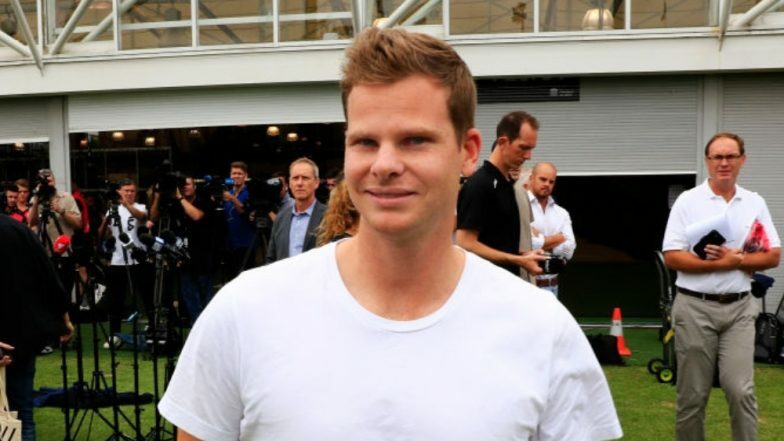 New Delhi, March 19: Rajasthan Royals' Steve Smith, who is gearing up for the upcoming edition of the Indian Premier League (IPL), praised his teammate Jos Buttler saying the England international is one of the most destructive batsmen around the world. Smith, who has played two seasons for the Rajasthan Royals in the past and led them in 2015, said he is excited to play alongside the prolific wicketkeeper-batsman as he makes things easy in the middle. Steve Smith Joins Team Rajasthan Royals Ahead of IPL 2019; Franchise Welcomes the Australian Cricketer (Watch Video and Pics).